Many property owners are likely counting the days until they can begin the annual ritual of outdoor spring clean-up. With each passing week, the amount of daylight is steadily increasing, as are the daytime temperatures, and it will not be long until neighbourhoods will be witnessing such activities as raking, fertilizing, pruning, and planting. Although the colder weather can seem to drag on forever, it is actually quite remarkable to see how quickly winter can become a distant memory as a property begins to awaken again in the spring. And with some help from the homeowner, trees, hedges, shrubs, and flower gardens located about the property can soon be flourishing anew. The challenge, then, becomes finding sufficient time to address these types of priorities plus tend to the trees, shrubs, and flower beds too – and all within a rather concentrated period of time at the beginning of spring. One way to alleviate some of the time pressures inherent with outdoor spring clean-up and maintenance would be to engage a professional tree care service like DreamWorks Tree Services. The specialists from DreamWorks Tree Services can capably attend to all spring tree and plant care needs, thereby permitting the homeowner to concentrate on other maintenance needs – and perhaps free up some time for leisure activities as well? The comprehensive spring tree care services provided by DreamWorks Tree Services can help in ensuring the health and vitality of trees, hedges, and shrubs while simultaneously enhancing the curb appeal of a residential or commercial property. For more information on the tree care services provided by DreamWorks Tree Services, including pruning and trimming, please see our Services Page. 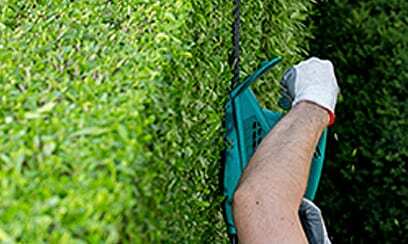 Have a professional tree care service tend to the clean-up and maintenance of your trees and shrubs this spring. Call DreamWorks Tree Services today at 647-261-2627 or contact us to schedule a no-obligation consultation at your earliest convenience.